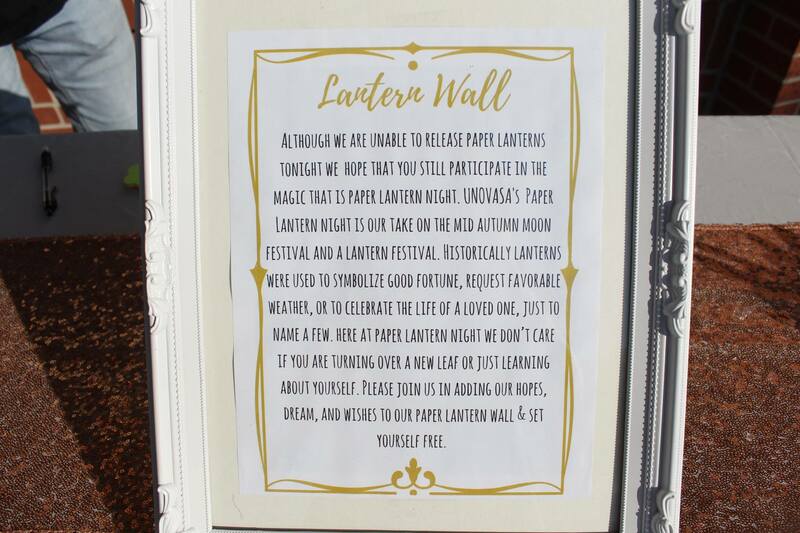 Paper lantern night is UNOVASA’s most traditional event.This past year PLN was held on September 23, 2017.We held the event at University of New Orleans’s Alumni Center, both indoors and outdoors.We had about 200+ people attend which is amazing considering our general member population is about 30.This included the UNO Community,members,GulfCoast VSA members and VSA members from UVSA Southeast. Program Purpose: to have UNOVASA’s most traditional event to remain traditional but with improvement.We also wanted tour auctionees to raise money for their Date Auction.Much of our programming was traditional.We brought back our shadow dance to open the show and to grab the attention of the audience. The end of the shadow dance revealed our emcees.For our performers we wanted to have representation of Vietnamese, American and Vietnamese-American culture. We had performances with Vietnamese music,lion dancing and fan dancing.We also had american performances and songs performed by VASA members,Tulane and LSU. Programming also included our sponsorship raffles. Raffles were provided by businesses within the community and all proceeds went to our auctionees and our CPP this year.Raffles included gift cards, haircut coupons and even a free set of eyelash extensions. Raffles alone raised over $250. Member involvement: Members participated in talent,fashion show,set up, and operating the booths.Performances: traditional Vietnamese singing by our member,Huy Vu,Fan dancing by Golden Lotus,led by our member,Laura Trinh,and Lion dancing performed by Woodlawn’s Lion Dance Team.Volunteers helped set up the event and operated booths.Members also participated in fashion show. We used our sponsorship list from last year to help guide us on our sponsorship search.We used pro’s and delta’s from last year to helped prepare us and prevent us from making the same mistakes as last year. This was the second year that we have done our #fandancechallenge.All Eboard Members participated in the fandancechallenge.We invited anyone to participate. We had submissions from all over GC and SE.Our “favorite” #fandancechallenge won a gift card of their choice and was displayed in our newsletter. For every submission, UNOVASA donated $1 to CPP. Sponsors were highlighted by polaroids that fit our color scheme. 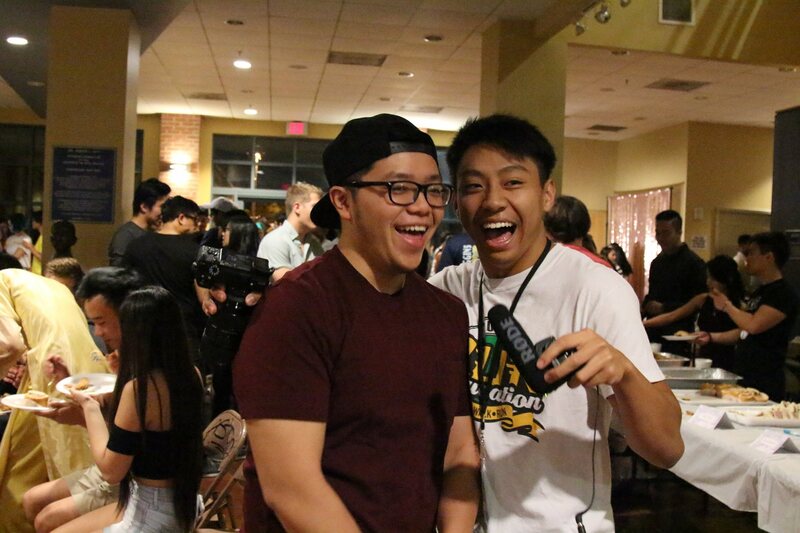 How did this cultural program serve the campus and/or community? What were the cultural program’s goals and how did it meet them? What motivated us to host this program was initiated from the fact that Paper Lantern Night is one of UNOVASA’s staple events. It is what UNO is known for in the Gulf Coast region. It is also the event that represents us the most with the university. PLN was held in September which is also our celebration of the Mid-Autumn Moon Festival. Date Auction by UVSAGC always happens around October/December. Having the event in September allowed us to raise money for Date Auction auctionees and allowed us to focus primarily on PLN without the distraction of DA. The primary method to motivate members was by having PLN as a Privateer Plunge event. Freshmen are required to attend 6 Privateer Plunge events as part of a grade for their UNIV Class. This allowed students to attend one of the university’s biggest events, play games, win prizes while getting a passing grade for their class. PLN had an official QR Code for freshmen to scan. The President of the University also attended our PLN. Member Participation was really important to us as well. We had many members sign up to volunteer and to perform. We even reached out to some performers. Many volunteers helped us make posters for our booth. We met us during lunches to hang out and work together. Members signed up for our fashion show as well which was a big hit. How did the organization overcome any challenges that arose while planning and implementing the cultural program? Challenges we faced while planning our event was dealing with our internal UNO organizations such as SIL (Student Involvement and Leadership) and Student Government Association. There was a lot of miscommunication from these organizations, but we always remain professional and ready to give any information they needed. We needed more volunteers for our booths, thus we implemented Senior Advisers to certain booths to help. We did not have enough plates and big spoons for the event, we resolve this by having an UNO VASA alumni get more supplies. Also, it was very hard to find sponsorships this year, so some E-board members stepped up and found more sponsorships for other E-board members because a lot of businesses were saying no. The overall outcome of our event was very successful in our terms. Any of the “deltas” that occurred during the event were very behind the scene. It may have credit a little bit of a headache for our eboard members but these issues did not take away from our guest’s experience. Although we still had challenges with the UNO Organizations it was actually an improvement from last year. Last Year was a disaster when planning with our school that this year we really worked harder on getting the ball rolling with the university. Although there were complications it was a big step up based off of what we learned last year. We will use what we learned this year to improve next year as well.